Holy wars, crusades, discrimination, hate these by-products of religion are all many contemporary commentators can see. But is religion dangerous? Is it a force for evil, something to oppose as a corrupt system that leads to terrorism and violence? Is it something to disdain as irrational and out of step with modern society? Keith Ward here addresses these concerns intelligently and insightfully. Looking at the evidence from history, philosophy, sociology, and psychology, he focuses on the main question at issue: does religion do more harm than good? He begins with a clear definition of what religion actually is, examining the key area of religion and violence. 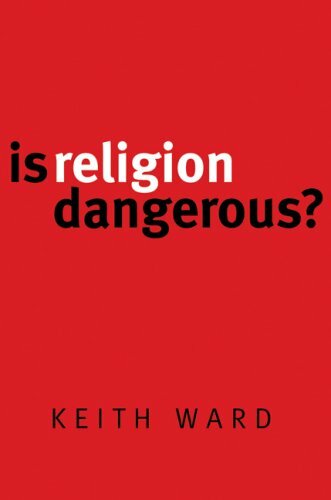 Ward goes on to assess the allegations of irrationality and immorality before finally exploring the good religion has engendered over the centuries. Without religion, the human race would be considerably worse off with little hope for the future. In fact, he argues, religion is the best rational basis for morality. Thought-provoking and powerful, "Is Religion Dangerous?" is essential reading for anyone interested in the confluence of truth, freedom, and justice.